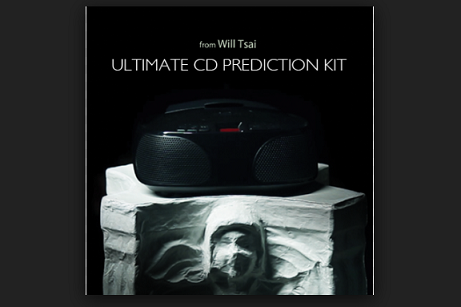 The Ultimate CD Prediction Kit comes with all the parts you need to put together your own Ultimate CD Prediction illusion - a self-working mini portable illusion that allows you to reveal a prediction with a pre-recorded CD. Predict the News healines, lottery numbers, final score for Super Bowl, and more! This is the perfect tool to gain publicity. Your spectator keeps the disk. Your spectator puts the CD in the player. The prediction is revealed for everyone to hear. The design is self-contained and self-working, so you can focus 100% on the presentation. If you want the perfect finalle for mentalism or magic show, stop looking. THIS IS IT.